Zinc protects the steel in 2 ways. The first is by barrier protection. Zinc provides a tough metallurgical bonded zinc coating, which completely covers the steel and seals it from the environment. 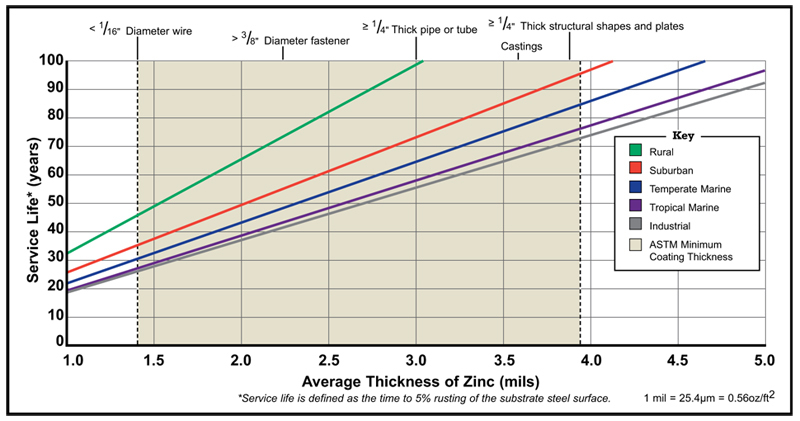 The second way zinc protects is by cathodic protection. The sacrificial action of zinc protects the steel even where damage or minor flaws occur on the coating. For over 250 years, hot-dip galvanizing has proven to be a high quality and cost effective corrosion protection coating. In most applications hot-dip galvanizing is superior to paint.